Last night Phanuel told us we would be leaving camp in the afternoon to fly to the Okavango Delta in Botswana rather than in the morning as planned due to some issue with our planes. 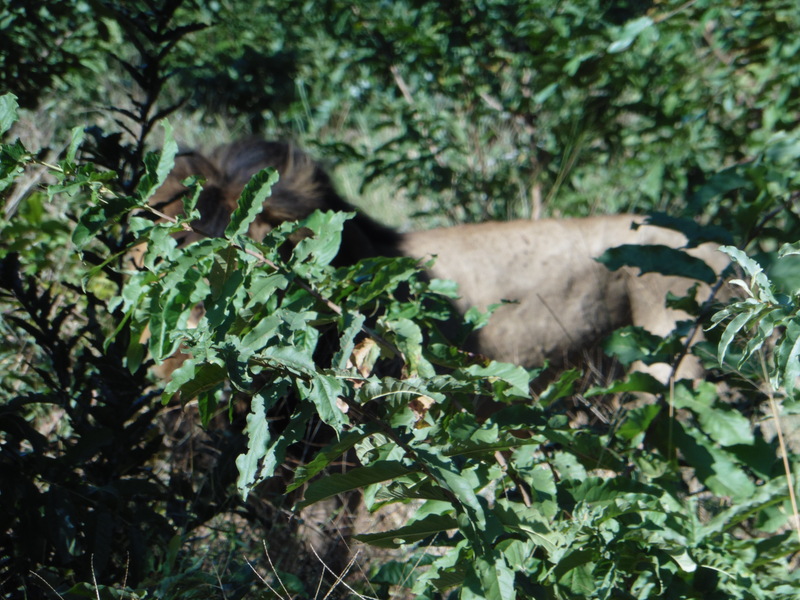 So we got an extra safari in Chobe, and it turned out to be the most dramatic safari of our time here. Vultures were circling and as we drove into the area, we could smell something decaying. We never found anything so were going to leave. A guide from a different camp told Moses, our guide, that he had seen a dead elephant yesterday. 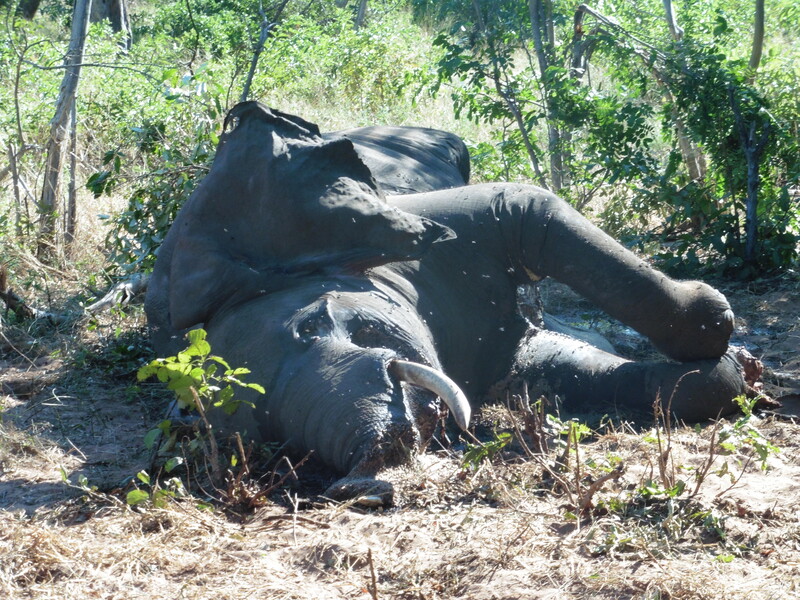 Back we went and found the dead elephant. The closer we got, the stronger the smell. 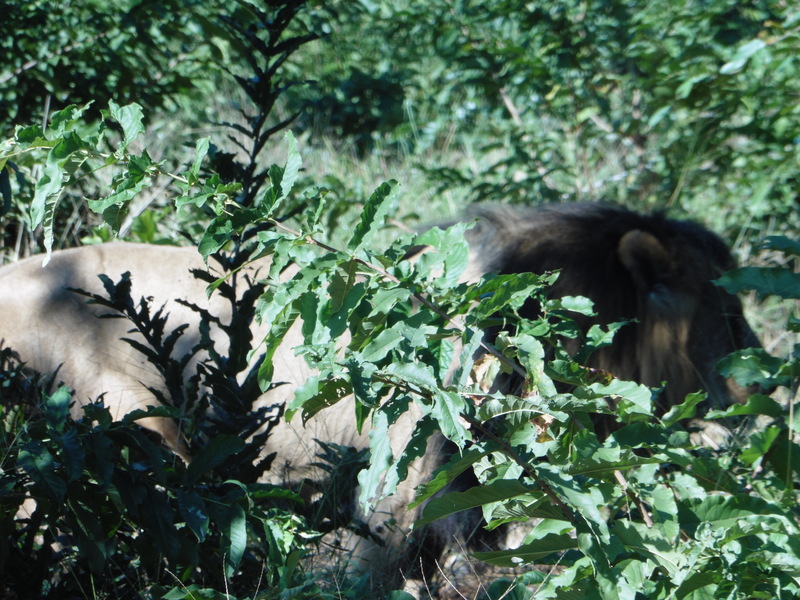 As were watching the dead elephant, Moses spotted a lion pair under a bush. 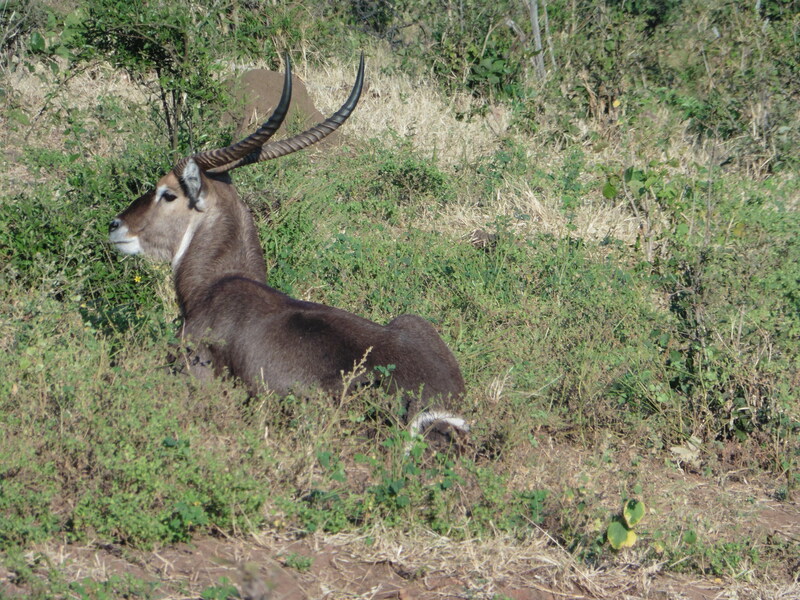 They were pretty well camouflaged by the bush, but suddenly they both stood up and started mating. The male lion gave a loud roar, and they both lay down again. Moses said it was a “National Geographic moment” to see this rare sight. 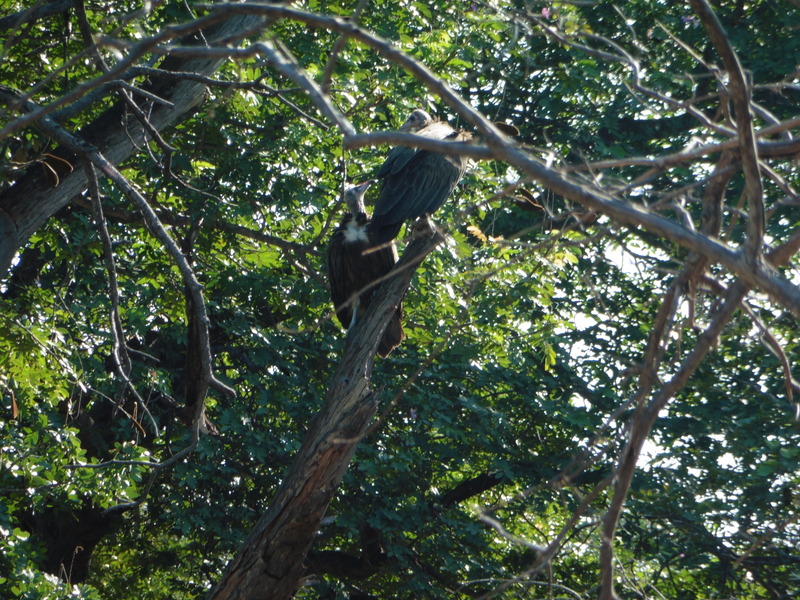 The vultures stayed in the trees while we were in the area. 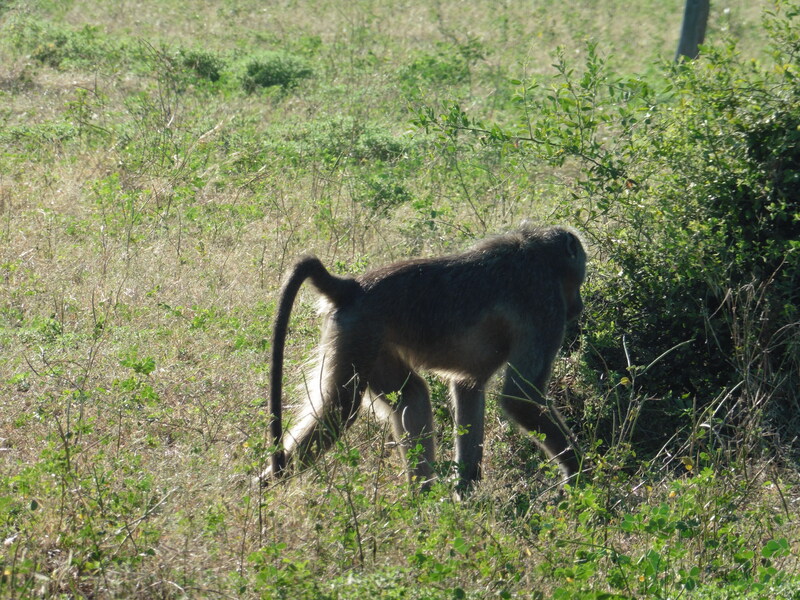 It was fun to see more baboons. Moses solved the mystery of why the elephants only eat a few leaves from a tree and then move on to a new tree. We thought it would be easier for them to stay in one place until they had eaten all the available leaves. When the leaves are pulled from the tree, it releases a tannin stored in its roots that makes the leaves unpalatable.It is nature’s way of protecting the tree. I have been so impressed with our guides. 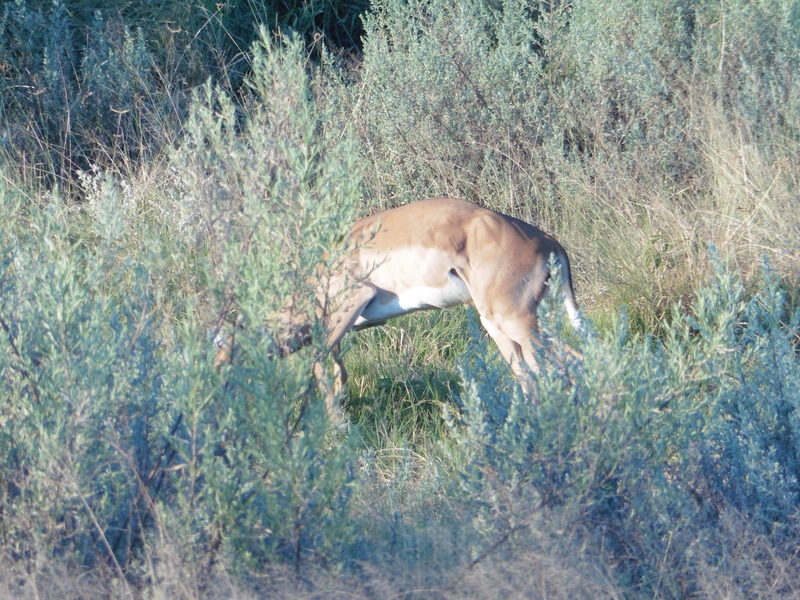 They know every animal, bird, and tree in the bush, as well as knowing their habits and life cycles. But even more impressive to me is their love and respect for all creatures. They truly live in harmony with their environment. I think we could learn a lot from them. 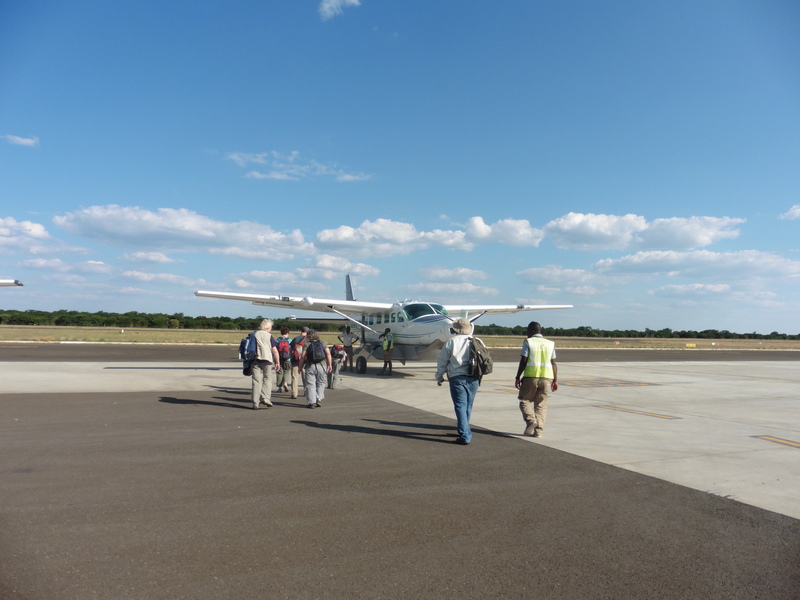 In the afternoon we took a one-hour flight from Kasane airport in Botswana to Sawatani airstrip and then rode two hours in a safari vehicle to get to our camp in the Okavango Delta. 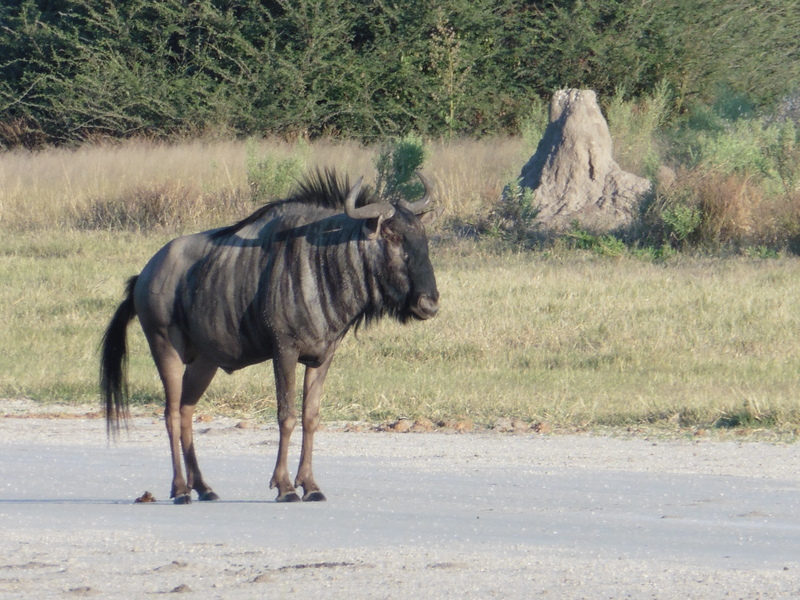 Before we left the airstrip, we saw our first wildebeest. This entry was posted in Africa 2018 on May 4, 2018 by debbie.